to Quickly Make A Difference And A Profit! Join us for this Free Results Now Webinar! 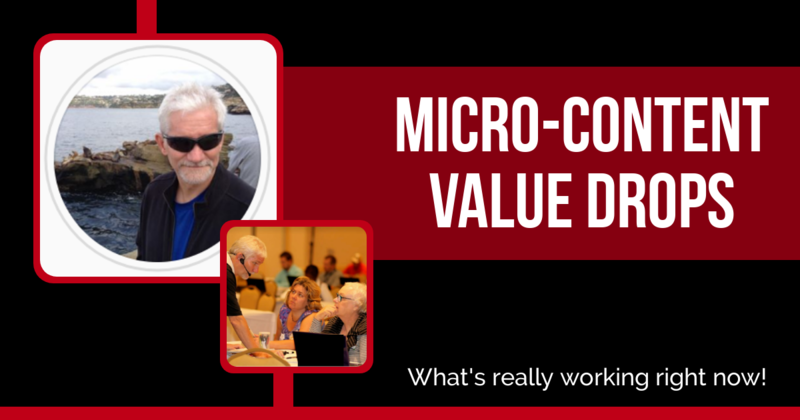 The Most Expensive Micro-Content Value Drops Mistake of Your Life... and what to do instead! The Art & Science of "Micro-Content Value Drops"
Welcome Home - Now Here's What to Do Next!